These photos were taken at Chancery Square again; Gregor spotted this beautiful Autumn-esque tree and thought it would make a nice backdrop. Aren't the colours so pretty? For my outfit, I paired this burgundy knit jumper with all black everything else. I love this darker toned look for winter, although next time I might have to swap my sunnies for a winter coat; the cold weather is definitely coming in! Cute outfit! Loving the accessories you've paired up with the look! Thanks Yinyin :) I ❤ my silver accessories! 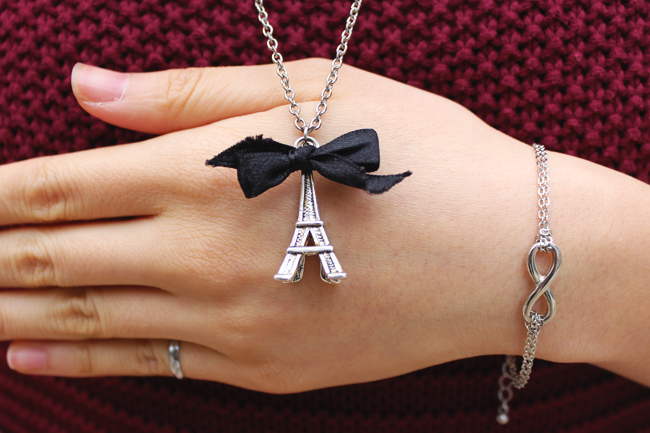 love your accessories! nice blog! You look very cute! I love the necklace and the bracelet! I have a similar one and it brings me important memories! Sentimental pieces are so special :) Thanks Denise! Thanks so much Stefania ! What a beautiful place to take pictures! 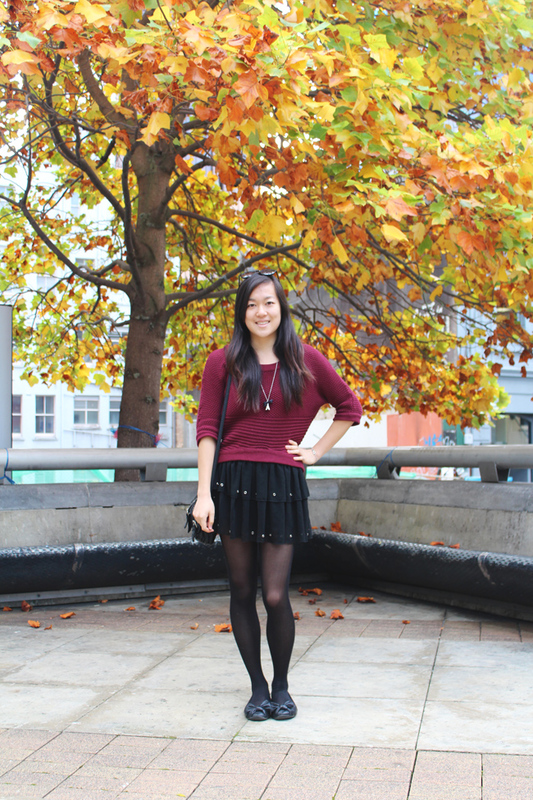 The leaves look so lovely as a background for your gorgeous burgundy jumper!